Kids enjoy games! 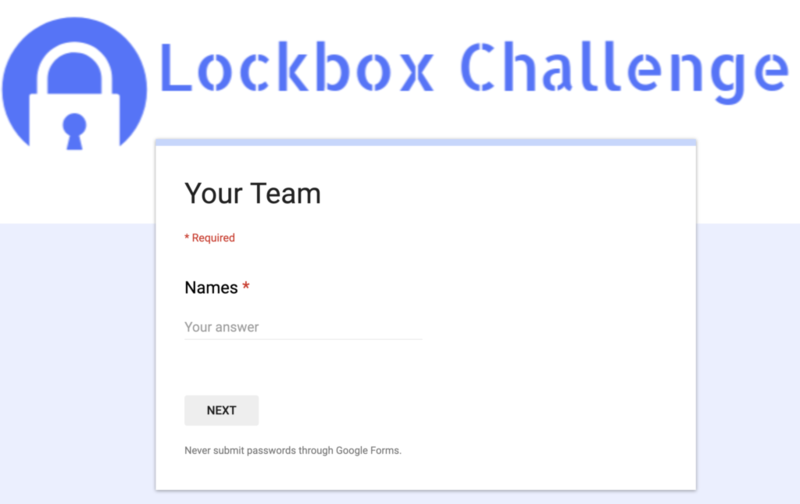 One way to create a collaborative challenge that feels more like a game than work is to use Google Forms to create a lockbox activity. When coaching a group of teachers this month, we created a transitional language lockbox challenge. Groups of students worked collaboratively to figure out which transitional words fit into particular sentences then entered their answers into a lockbox to see if they were correct. Here’s how the activity worked. At one station, students were given a sheet of paper in a plastic page protector. The paper had three paragraphs that were missing transitional language. The students had a list of transitional words and phrases they could choose from to complete the blank spaces in the three paragraphs. Students worked collaboratively to complete the sentences with the correct transitional works using a small whiteboard marker to write their initial answers directly on the plastic page protector. 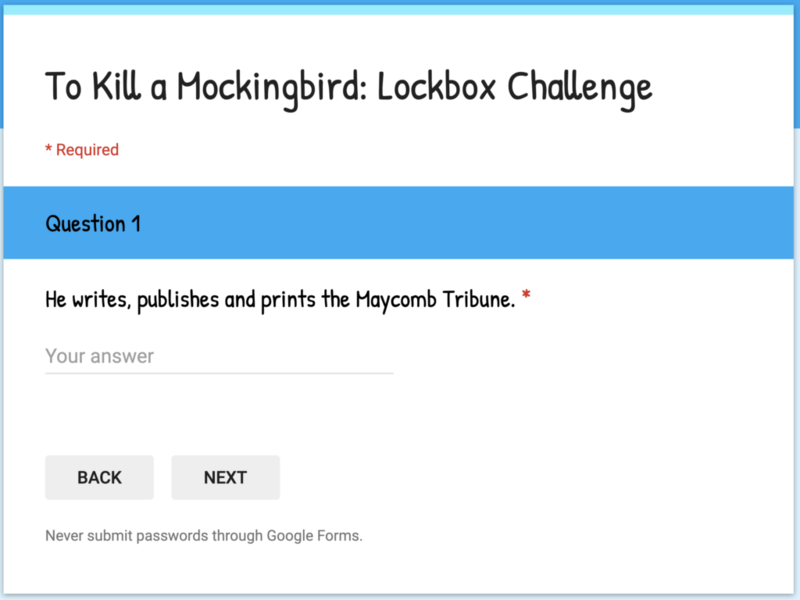 Once they have filled in the missing language, they had to enter the words into the Google Form lockbox one at a time to see if they were correct. If they entered an incorrect answer, they had to reevaluate their choices. I like this activity because it encourages conversation and collaboration offline before students attempt to answer the questions online. Here are some tips for creating a lockbox activity using Google Forms. Separate each question onto a separate section. This keeps students focused on one question at a time. Select the “Short answer” question type. Ask questions with a single correct answer to avoid confusing students. Select “Text” and “Contains” then type the correct answer. Students will not be able to move beyond the current section until they enter the correct answer. Add a hint to help students who get stuck. 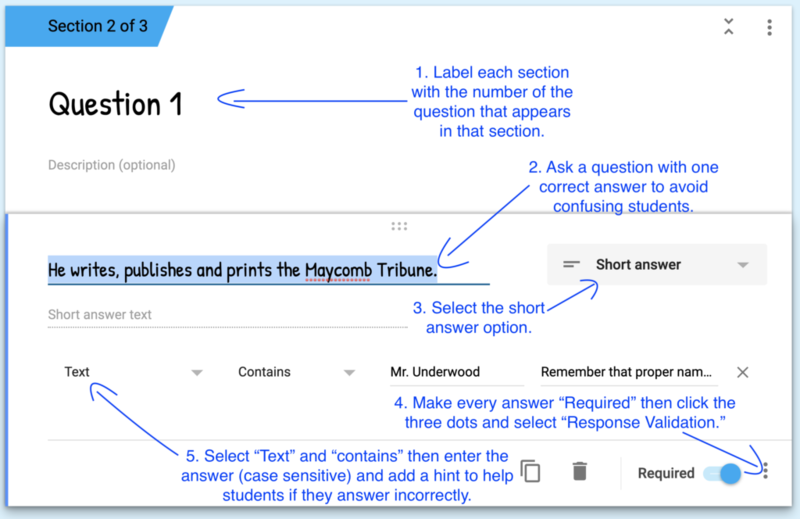 If the questions are separated by sections in the Google Form, then the group is forced to focus on one question at a time making it feel more like a game than a traditional Google Form. I also recommend that teachers give students the questions first and require that they discuss them and agree on their answers before they open their computers and attempt to unlock the Google Form lockbox. 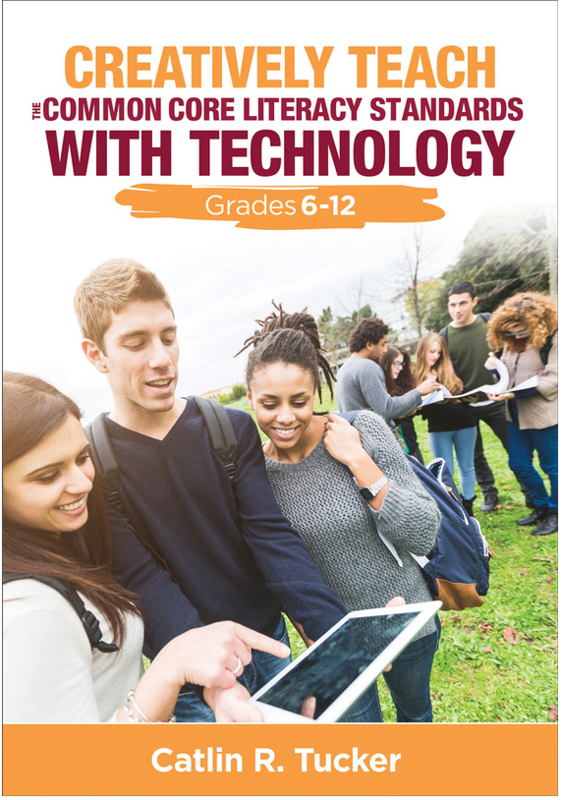 If students are required to decide on their answers before they open a device, then the devices do not impede the conversations between students, which is the most valuable part of a lockbox activity. It also eliminates the temptation to guess without thinking through the possible answers first. Lockbox challenges are a great way to encourage collaborative practice, review for an exam, or create an escape the room type of activity without an a physical box! 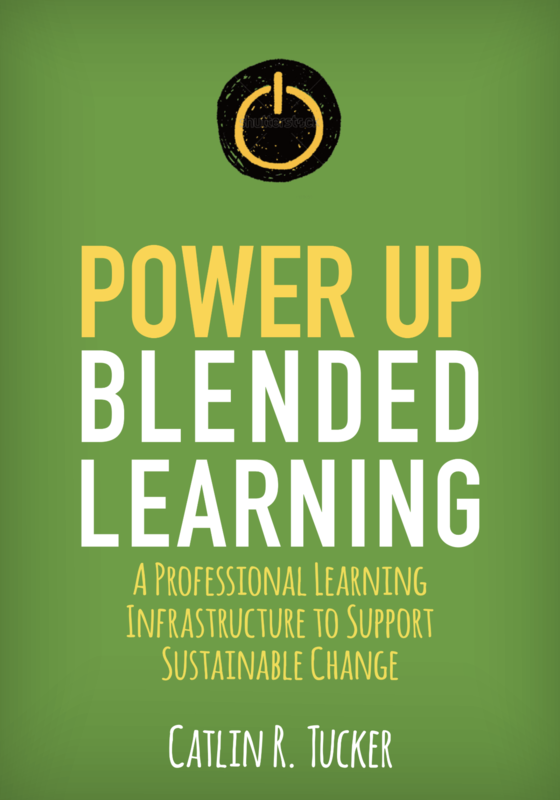 In a Twitter chat this month, I mentioned student-designed units. Several curious teachers asked for details, so here goes! My favorite unit each year is the unit my students’ design. We spend the entire year building up to it. I strive to release responsibility of the learning to students gradually. It’s my job to help them develop the skills and confidence needed to design and drive their learning. I provide a list of texts students can choose from for the final unit. They rate the texts in the order they would like to read them. I use their preferences to create groups of 4-5 students. Then as a group, they must agree on a reading schedule, design standard-aligned performance tasks and decide how they want to use their class time. 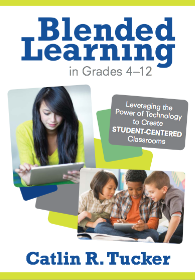 I explain that they are designing this unit because I want them to have total control over their learning. At first, students are a little stunned when they realize I am truly allowing them to design the unit. “Wait. We can do whatever we want, Mrs. Tucker?” Yes and no. I select eight target skills for the unit. These are skills we have already covered together, but they are ones that I think they still need to spend time developing. I provide each group with a Google Document that has the target standards in the left-hand column. The groups read through the target standards and discuss how they want to show mastery of these skills. I remind them that they do not need a separate performance task for each standard. Planning takes time, so students spend the first two days of the unit engaged in social negotiation. How much will they read each day? Will they engage in discussion about the reading daily or weekly? How much time will they dedicate to each performance task? Do they want to have homework or do they want to design the unit so that everything can be completed in class? Students quickly realize that planning a unit is challenging. Some groups opt to write their plans on a paper version of my Google Document, some like to sketch out their plan on a big whiteboard (and take a photo), and others prefer to collaborate online typing on the same Google Document. It’s totally up to them! I review their reading schedule. If it looks good, they add their reading schedule to the class calendar I’ve created for this unit. We review their proposed performance tasks to make sure they align with the standards and are realistic in terms of scope. I offer suggestions for modifying them so they can cover multiple standards with a single performance task. Once I’ve given them the green light, they add those performance tasks “due dates” to the class calendar. I also talk with the group about how I can support them by reviewing specific tasks as they work and offering additional skill stations for their group specifically. As students work through the unit, my primary job is to check in with groups, observe their discussions and work, provide feedback as they work, and conduct side-by-side assessments of any finished performance tasks. I’m always blown away by what students can do when I allow them to lead the learning. It is rewarding to see them select specific strategies we have used earlier in the year to accomplish their various tasks. I can tell which of the routines, assignments, projects, online tools, etc. that they enjoyed or found valuable because they adapt and use them during this unit. The end of the year is tough. Teachers and students are exhausted. This break in routine is a fantastic way the flip the script and have fun with the last unit of the year! Teachers plan on the go! As much as I enjoy reading books that help me to push my practice forward, I appreciate having quick and easy resources I can reference in the classroom. I have distilled the most important information about designing and implementing a station rotation lesson into a 6-page laminated guide for teachers who want a quick and easy resource. 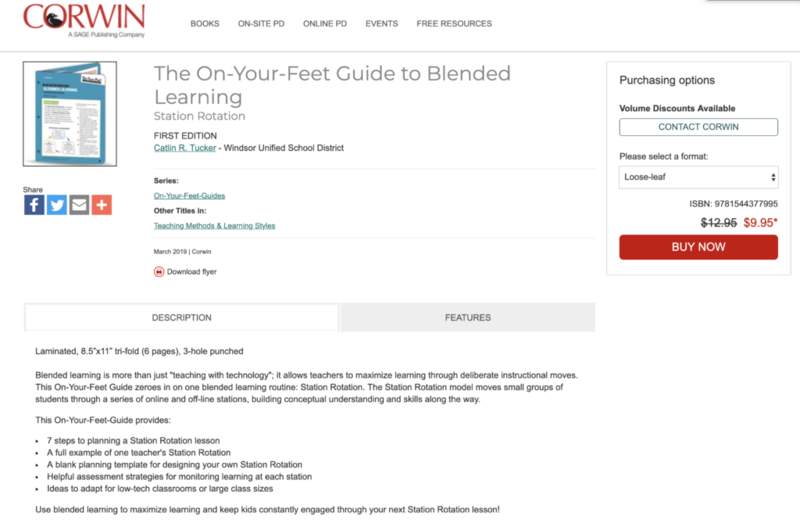 An introduction to the Station Rotation Model and a visual with ideas for how to use the teacher-led, online, and offline stations. A step-by-step explanation about how to plan a station rotation lesson. An example station rotation lesson. A link to an online template that teachers can use to create their own lessons. Tips for maximizing the the teacher-led station by moving feedback and assessment into the classroom. Strategies for grouping students and keeping track of groups. A list of common challenges and creative solutions to address those challenges. 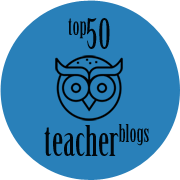 Helpful hints and best practices for teachers just getting started! 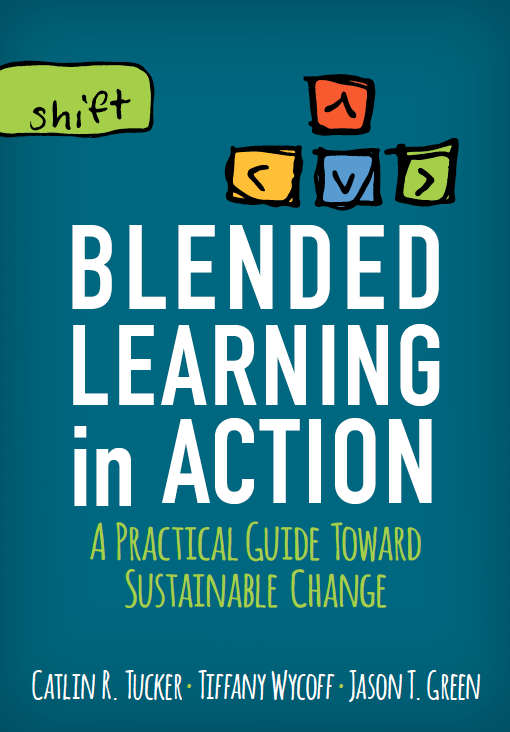 As we approach the end of another school year, I will be giving away several free copies. If you are on Twitter, keep an eye open for a chance to win!